Our children will inherit a world profoundly changed by the combination of technology and humanity that is social media. They'll take for granted that their voices can be heard and that a social movement can be launched from their laptop. They'll take for granted that they are connected and interconnected with hundreds of millions of people at any given moment. And they'll take for granted that a black man is or was president of the United States. What's most profound is that these represent parts of a greater whole. They represent a shift in power from centralized institutions and organizations to the People they represent. It is the evolution of democracy by way of technology, and we are all better for it. Please note this is not a Top 10 list, nor are these in any particular order. It's also incomplete. So we ask that you add to this conversation. If you'd like to take the conversation to Twitter or FriendFeed, please use the hashtag #10Ways. 1. Take Social Actions: The nonprofit organization Social Actions aggregates "opportunities to make a difference from over 50 online platforms" through its unique API. 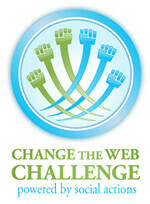 It recently held the Change the Web Challenge contest in order to inspire the most innovative applications for that API. The Social Actions Interactive Map won the $5,000 first prize. The result is a virtual tour of the world through the lens of social action. "People are volunteering, donating, signing petitions, making loans and doing other social actions as we speak -- all over the world. To capture the context of the where, this project uses sophisticated techniques to extract location information from full text paragraphs." You can also join the Social Actions Community, which is powered by Ning ... which now boasts more than 1 million individual social networks. 2. Twitter with a Purpose: This list could be exclusive to Twitter. The micro-blogging sensation was featured on our first two lists (a three-tweet), and it's certain to be a fixture. From Tweetsgiving, the virtual Thanksgiving feast, to the Twestival, which organized 202 off-line events around the world to benefit charity: water, it's become the de facto tool for organizing and taking action. Tweet Congress won the SXSW activism award, and celebrity Tweeps Ashton Kutcher and Kevin Rose Tweeted their two million followers about ending malaria. Max Gladwell recently initiated the #EcoMonday follow meme as a way to connect and organize the Green Twittersphere. 3. Visit White House 2.0: Inside of its first 100 days, the Obama administration has managed to set the historic benchmark for government transparency and accountability. The President's virtual townhall meeting used WhiteHouse.gov to crowdsource questions from his 300 million constituents, complete with voting to determine the ones he'd have to answer. All told, 97,937 people submitted 103,978 questions and cast 1,782,650 votes. The White House continues to raise the bar with its official Facebook, MySpace, and Twitter channels. In so doing President Obama is not just setting the standard for state and local government in the U.S. He's establishing the world standard. The Obama administration is spreading democracy not by force but through example. Because you don't have to be an American citizen to be a friend or follower of White House 2.0. 4. 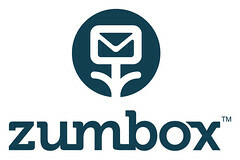 Claim your Zumbox: What happens when all mail can be sent and delivered online to any street address in a paperless form? That's the big question for Zumbox, which has created an online mail system with a digital mailbox for every U.S. street address. And while the answer to that question remains to be seen, it promises to be as liberating as it is disruptive. A key quality for Zumbox is that it's closed system much like that of Facebook, only instead of true identity it's true address. This will enable people to better connect with their communities including their neighbors, local businesses, and the mayor's office. The primary agent of change, though, might not be that this uses street addresses but that it enables direct and potentially viral feedback, which is a virtue that e-mail and the USPS do not offer. The first methods are to request exclusive paperless delivery and to block a sender, but others are certain to evolve such as real-time commenting and ways to share mail with friends, family, and colleagues. 5. Host a Social Media Event: This is the year of the social media event. No meaningful gathering of people is complete without an interactive online audience, especially when it's so easy and cost effective to pull off. Essential tools include a broadband connection, laptop, video camera, projector, and screen. Add people and a purpose, such as entrepreneurship. Promote it through social media channels, and you have a social media event. A recent example in the green world is the Evolution of Green, which was hosted by Creative Citizen, a green wiki community. It celebrated the launch of a new Web property, EcoMatters, while also establishing a new Twitter tag. By posing the question, "How can we go from green hype to green habit?" and including the #GreenQ hashtag, it sparked a conversation between attendees and the Twittersphere in real time. Thus was born a new mechanism for getting answers to green questions via Twitter. 6. Travel the World: More than anyone else, Tim O'Reilly knows the potential for social media to change the world. In his opening keynote at this year's Web 2.0 Expo, he called for a new ethic in which we do more with less and create more value than we capture. This provided the context for SalaamGarage founder Amanda Koster, whose presentation followed O'Reilly's. The idea is that social media has enabled each of us to have an audience. Whether through Twitter, Flickr, YouTube, or a personal blog, each of us can have influence and reach. What's more, it can be used for good. SalaamGarage coordinates trips for citizen journalists (that means you) to places like India and Vietnam in conjunction with non-government organizations like Seattle-based Peace Trees. The destination is the story, as these humanitarian journalists report on the people they meet and discoveries they make. Their words, images, and video are posted to the social web to gain exposure and because these stories just need to be told. 7. 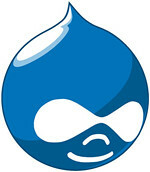 Build It on Drupal: You may not have noticed, but the open-source Drupal content management system (CMS) has quickly become the dominant player on the social web. While we still prefer WordPress as a strict blogging application, Drupal has emerged as the go-to platform for building scalable, community-driven Web sites. It powers Recovery.gov, a key part of President Obama's commitment to transparency and accountability. And Drupal will soon become the platform for Causecast, a site where "media, philanthropy, social networking, entertainment and education converge to serve a greater purpose." Complete with Facebook Connect, this iPhone app locates green products and businesses in 30 major North American cities. It uses the iPhone's dial function to select a category (food), sub-category (restaurants), and distance (walking, biking, or driving). In Santa Monica, this might give you Swingers diner for its selection of veggie and vegan fare. You could then get directions from your current location using the iPhone's built-in Google map, rate your experience on the three-whale scale, and write up a quick review. 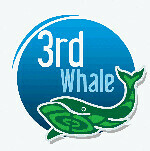 3rd Whale recently released a new feature that integrates green-living tips, which can show how much energy or waste you'll save by taking a given action. 9. Unite the World Through Video: Matt's dancing around the world video inspired many to tears. Today, more than 20 million people have viewed his YouTube masterpiece, where he performs a kooky dance with the citizens of planet Earth. The most recent example of this approach is Playing for Change, which connects the world through song. The project started in Santa Monica with a street performance of the classic Stand By Me and expanded to New Orleans, New Mexico, France, Brazil, Italy, Venezuela, South Africa, Spain, and The Netherlands. The project was superbly executed via social media, complete with a YouTube channel, MySpace, Facebook, and Blog. It's received tremendous mainstream media exposure and also benefits a foundation of the same name. 10. Rate a Company: The conversation about corporate social responsibility (CSR) takes place across the social web on blogs, Twitter, and YouTube, but a central hub for this information and opinion is still to be determined. SocialYell seeks to address this by building an online community around the CSR conversation, where users can submit reviews of companies together with nonprofit organizations and even public figures like Michelle Obama. The major topics are the Environment, Health, Social Equity, Consumer Advocacy, and Charity. The reviews are voted and commented on by the community in a Reddit-like fashion with both up (Yell) and down (shhh) voting. The site is relatively new and still gaining traction, but there's no question that a resource like this is needed to shine a bright light on CSR and and other related issues. Final note: This is Max Gladwell's third list of "10 Ways to Change the World Through Social Media." The first was posted a year ago today on Sustainablog.org, and the sequel followed five months later. If a single headline can capture the Max Gladwell raison d'etre, this is it.